Most retirement homes treat residents with dignity and respect. However, due to understaffing, poor training and other factors, elderly abuse happens in 30 percent of nursing homes, according to ABC News. As such, it is important to conduct thorough research before choosing a retirement home for your loved one. If the worst happens and your family member suffers abuse or neglect, contact The Rudolph & Hammond Law Firm. Our lawyers have more than 60 years of combined experience protecting the rights of the injured. You may have grounds for a personal-injury claim against the at-fault staff member or facility. Call at 480-951-9700 to discuss your case with an injury attorney in Phoenix. 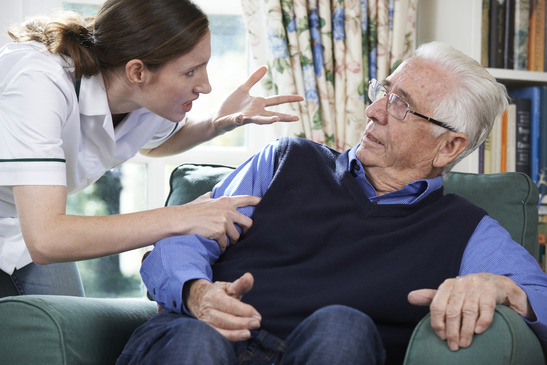 It is not uncommon for a nursing home staff member to use physical restraints or force to get a resident to cooperate. Physical abuse is often easy to identify. Signs include unexplained bruises, cuts, broken bones, and marks of restraint on the wrists and ankles. Examples of physical abuse include pinching, biting, scratching, shoving and hitting a resident. Emotional abuse is difficult to detect, but it can have a profoundly negative impact on a resident’s wellbeing. Examples include ridicule, humiliation and embarrassment of an elderly resident. One common form of emotional abuse is blaming residents for accidents. Others include intentionally ignoring patients and confusing them. 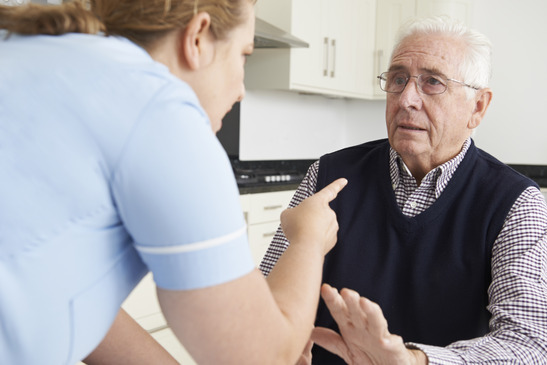 Due to fatigue, poor training or plain incompetence, caregivers often ignore residents’ physical and emotional needs. This may constitute neglect. Neglecting a nursing home resident can be deadly. For example, if a senior citizen does not receive vital medication, then he or she may suffer a fatal illness. Other serious forms of neglect include not feeding or hydrating a resident, and failing to provide reasonable medical attention. And stolen items or money from a resident’s room. Sexual abuse of the elderly is deplorable, but it happens far too often at nursing homes. Common perpetrators are staff members who help residents with personal hygiene. Stories abound of staff coercing, tricking, manipulating or forcing residents into sexual contact. Sexual abuse does not necessarily need to involve physical interaction. Sometimes all it takes is sexual intimidation, such as forcing a patient to strip in public, to constitute abuse. If you believe that your family member was a victim of nursing home abuse or neglect, it is critical that you take immediate action. A Phoenix injury attorney from The Rudolph & Hammond Law Firm will help you put a stop to the mistreatment and pursue justice against the at-fault staff member or facility. Call 480-951-9700 today to schedule a free consultation.